Earn $3.99 in VIP credit. Click to Learn More. 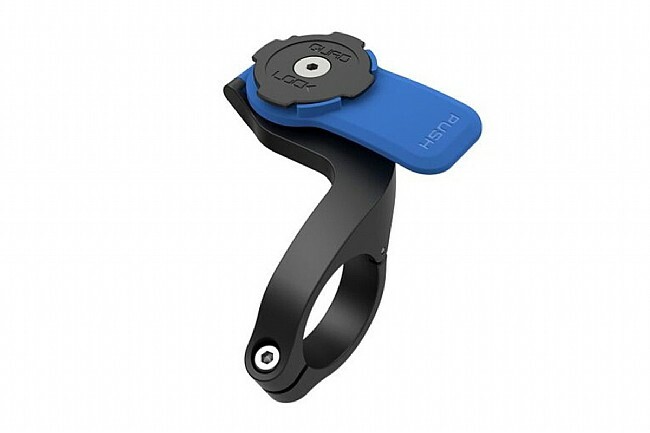 Quad Lock's Out Front Bike Mount works with their smartphone cases or any of their other systems to mount the device in front of the handlebars where it's easy to see while riding. The out front position also creates a more efficient aero profile, and the mount can also be installed backward to locate the phone over the stem if preferred. Great product allows for easy phone access! You can track your miles, listen to music, or chat along rides!! Easy to use and very secure. I did have to purchase longer screws to accommodate the width of my bikes handlebars.